MICKEY Harte marked his 300th game in charge of Tyrone by earning the county's first win over Dublin since 2013. It was deserved too as the Red Hands, playing more expansive football than usual, responded well to a Cormac Costello goal to lead 1-7 to 1-5 at the break with Cathal McShane coolly slotting home their goal after 20 minutes. McShane, Richie Donnelly and Peter Harte kept the scoreboard ticking over in the second period and despite losing Niall Sludden to a red card with 25 minutes to go, they were able to maintain a three-point advantage. 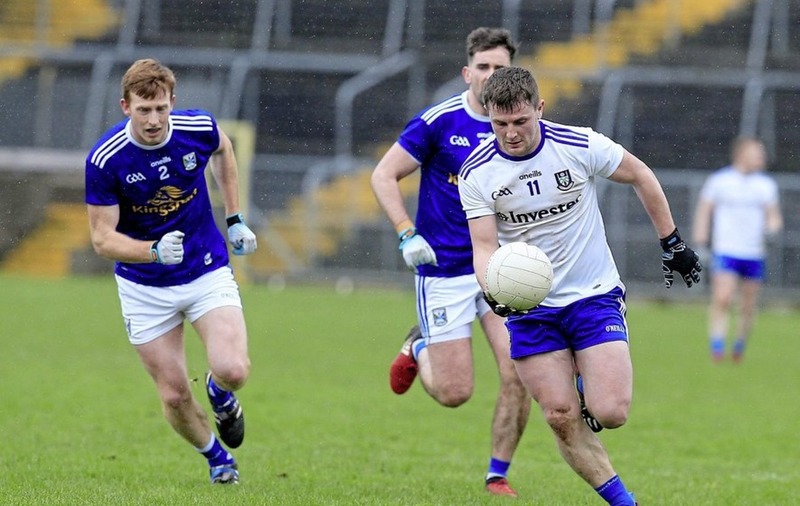 CAVAN are not relegated just yet but they will require a minor miracle to survive now. It had all started so brightly for Mickey Graham's side as Cian Mackey blasted to the roof of the Monaghan net just a minute in, but the sides were level at the break. 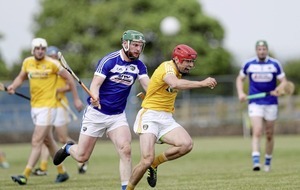 Conor McManus stood up to the plate in the second half and his two superb scores helped the home side create an advantage that they would hold onto despite losing Jack McCarron to a second yellow card while manager Malachy O'Rourke was sent to the stands. KERRY'S 100 percent record came to an end in Tralee in a game played in absolutely horrendous weather conditions. The Kingdom had the wind in the first half and led 0-7 to 0-4 at the break with Tommy Walsh and Seán O'Shea prominent. Matthew Ruane missed a goal chance for Mayo shortly after the break but with Aidan Walsh excellent they were able to edge back into the contest. The crucial score came in the 68th minute as Ruane made no mistake with his second opportunity to put Mayo back into the League final picture. 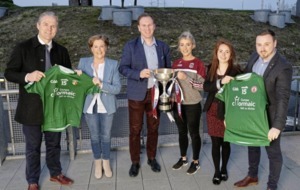 GALWAY moved into the Division One final spots after a comprehensive seven-point win over fellow Connacht side Roscommon. Danny Cummins hit 1-2 while Shane Walsh and Antaine Ó Laoí scored four points each as the Tribesmen eased to the win. Conor Cox did give Roscommon hope with a second-half penalty but they now require at least a draw with Kerry next weekend to avoid relegation. ETHAN Rafferty came off the bench to score the goal that secured Armagh a spot in Division Two next season. The Grange man's strike was enough to kill off a Fermanagh challenge that didn't get going in the second half. Rory Gallagher's side were well placed at half-time as they trailed by a point despite playing against a huge wind, but they barely got out of their half in the first 20 minutes of the second half. The visitors lost Che Cullen to a red card late on. DONEGAL looked in bother as they trailed Cork by six points early in the second half, Mattie Taylor with the Rebel goal, but they eventually won the second half 1-13 to 0-4 with Jamie Brennan finding the net late on. Brennan finished with 1-2 to his name while Michael Murphy managed six points. KILDARE needed injury time points from Adam Tyrell and Neil Flynn to just about keep their promotion hopes alive. Fergal Conway's goal had helped them into a seven-point lead but Tipp goals from Liam Boland and Dan O'Meara left the result in doubt until those final two points. MEATH took a huge step towards promotion yesterday following their rearranged clash with Clare in Navan. The game had fallen foul to the weather on Saturday and Meath started brightly with four points but Clare were just a point behind at the break thanks to Seán O'Donoghue's goal. The start of the second half was cagey but Graham Reilly's goal gave the Royals the required breathing space. DOWN are on the brink of a return to Division Two football after a hard-fought win in Carlow with Donal O'Hare grabbing a controversial winner deep into stoppage time. Carlow, who got back into the contest thanks to a late Eoghan Ruth goal, felt they had earned a draw (and survival) when Diarmuid Walshe landed a late free, but there was still time for O'Hare's winner. LONGFORD struggled in the first half against already relegated Sligo but they improved considerably after half-time. The Yeatsmen led 0-11 to 0-8 at the hallway point but goals from Darren Gallagher and Nigel Rabbitt allowed the home side to ease to the two points – and Division Three survival. Both sides finished with 14 men with Sligo's Pat Hughes and Longford's Michael Quinn both dismissed. LAOIS kept their slim promotion hopes alive as they fended off a late Offaly fightback to win by three points. Goals from Evan O'Carroll and Paul Cahilane appeared to put Laois in the driving seat but the home side rallied with Bernard Allen driving them forward, but they couldn't find the goal that would have earned a draw. BAD weather forced the postponement of Louth's match with Westmeath and the GAA's competitions control committee have yet to confirm when this refixture will take place. Given that there are no suitable venues with floodlights to host the game midweek, this could be a potential headache ahead of next week's scheduled round seven fixtures. 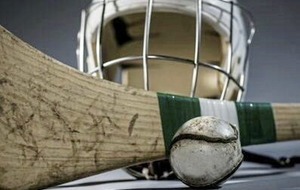 DERRY eased their way to another two points in the dress rehearsal for the Division Four final against the same opposition in two weeks' time. The visitors made wholesale changes to their side but they were just a point behind at the break. Derry stretched ahead though with two goals from Shane McGuigan with Gary Plunkett raising a green flag in reply for Terry Hyland's side. MATTHEW Fitzpatrick top-scored with 2-3 as Antrim picked up their second League win of the season. Antrim struggled to get going in the first half but still led 0-7 to 0-6 at half-time. The Saffrons were much improved in the second half though with Fitzpatrick providing a star turn. CONOR Murray scored a goal in each half as they earned their third League win of the season following an eight-point win over London in Ruislip. All 2-9 of Waterford's tally came from play. JONATHAN Bealin's five points proved crucial as Wexford defeated Limerick by the minimum on Saturday afternoon. Sean McSweeney replied with a goal for Limerick but they still came up short. KERRY remain in pole position to reach the final but Galway and Mayo are nipping at their heels. Tyrone too can make it to Croke Park, but they would need to beat Galway and hope that Monaghan win in Mayo. At the other end Cavan are all but relegated but could still survive if they beat Dublin, Roscommon draw with Kerry and Monaghan lose to Mayo. They would also require a narrow swing in scoring difference. Monaghan are not yet safe and need to match Roscommon's result when they go to Mayo. A defeat, a Roscommon draw and a Cavan win could also see them lose out on scoring difference. Roscommon could also survive on the head-to-head rule if they draw and Monaghan and Cavan both lose. THE postponed Louth and Westmeath game complicates matters but five teams can still earn promotion. Down will definitely go up if they avoid defeat at home to Louth while even a defeat would need a lot of other results to go their way. If Louth win their last two games they will go up, as will Westmeath. A three-point win for Laois in round seven will also guarantee promotion. A Laois win and a Down loss could see both finish level on 10 points, and if there are no other teams on that tally, Laois will finish above Down due to the head-to-head rule. Longford have a real outside shot but would need to see them beat Westmeath, see Laois lose to Carlow and Westmeath draw with Louth. They would also need a shift in scoring difference. Sligo have already been relegated but Offaly can survive if they win in Sligo and Carlow lose in Laois. The promotion race has been decided since round five with Derry and Leitrim moving up to Division Four. The head-to-head rule now means that it's impossible for the Oakleafers not to finish top of the table.